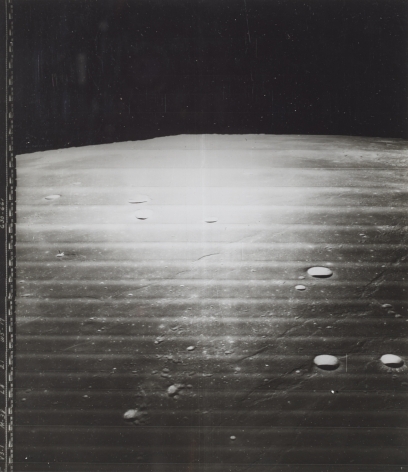 This photograph was taken by the Lunar Orbiter V of site V-12 in its mission to photograph selected areas on the front and rear of the Moon and supplemental photography of candidate Apollo sites. This frame taken by Orbiter V's 80 mm focal length wide angle camera, consists of 24 of the 86 framelets which make up a complete wide angle frame. The area show is an oblique view of the crater Censorinus and surrounding terrain. Censorinus is located south of Mare Tranquillitatis. 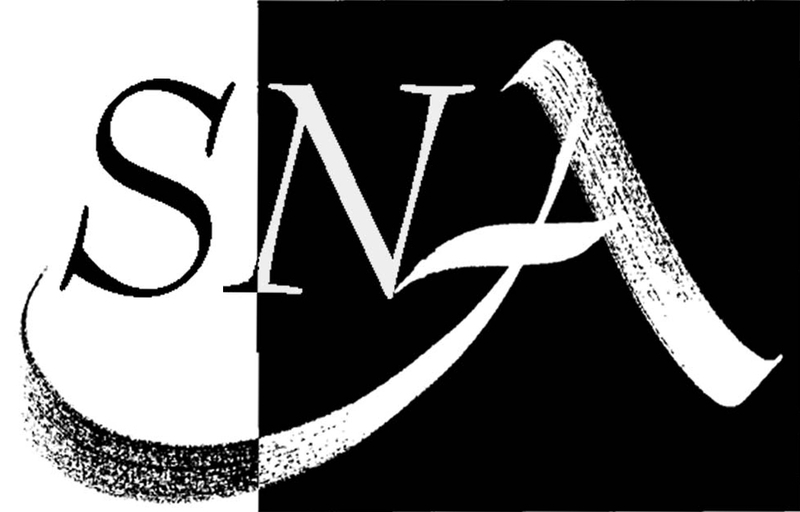 North is approximately at the right and the Sun is at the bottom at an angle of approximately 20.7º. 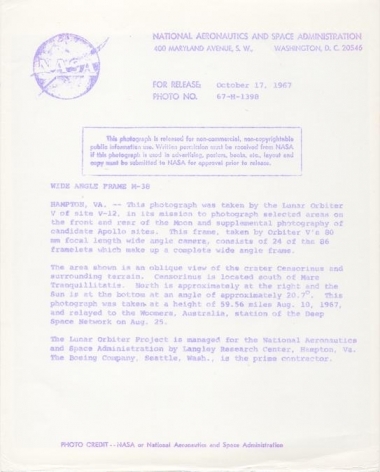 This photograph was taken at a height of 59.56 miles Aug. 10, 1967, and relayed to the Woomera, Australia, station of the Deep Space Network on Aug. 25. The Lunar Orbiter Project is managed for the National Aeronautics and Space Administration by Langley Research Center, Hampton, Va. The Boeing Company, Seattle, Wash., is the prime contractor. 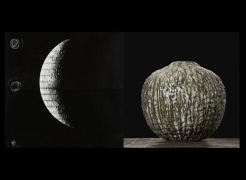 McMoon: Those grainy Moon photos from the 60s? The actual high-res images looked so much better.